Farming is the original sustainable enterprise and we have a 7 generation, 165-year tradition of innovation. 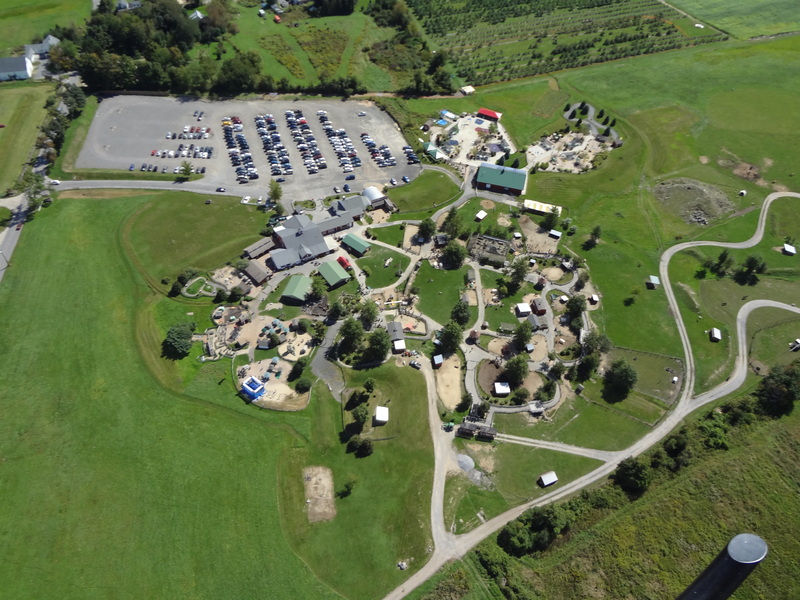 Davis Farmland is home to the largest sanctuary of endangered or heritage livestock in North America and houses over 100 breeds of farm animals. 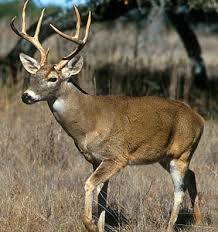 Our 300-acre farm includes approximately 60 acres of wildlife areas with many native inhabitants. It is not uncommon to see Vultures, Owls, Canada Geese, Hawks, Coyotes, Deer, Foxes, Raccoons, Turkeys, Fisher Cats, Bobcat, Mountain Lion and even the occasional Moose and Bear. 5th generation farmer, John Davis provided DNA samples from Farmland breeds and helped create the first Frozen Zoo for farm animals at the San Diego Zoo’s CRES program. 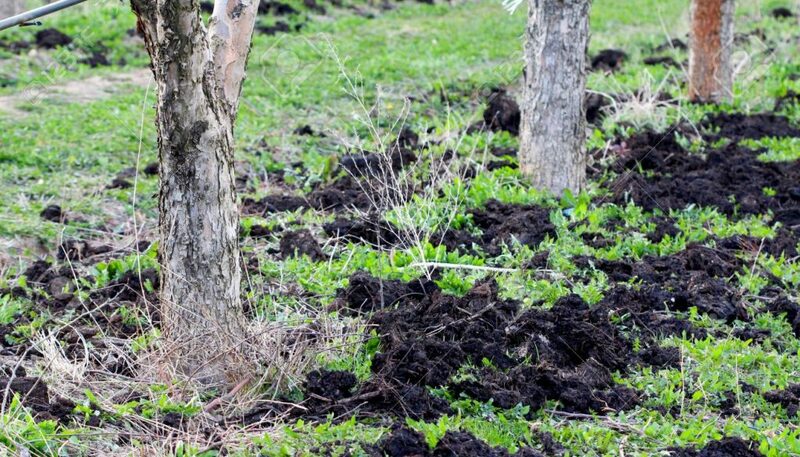 All of Farmland’s animal waste is composted and incorporated into the soil to naturally fertilize apple orchards and gardens locally. Davis Farmland is home to the largest, zero-depth, water spray park in New England. The water used in both of our spray grounds is treated and recycled. Davis Farmland features kid powered fun! It’s developmentally appropriate play and learning that’s hands-on and nature based. Even our go carts are kid powered – there’s no motors. 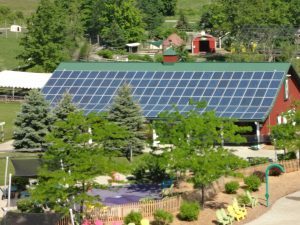 There are 144 solar panels on the barn roof of the Udder Rock. Farmland’s Solar System generates enough electricity to power 4+ homes (that’s 1000 households watching an hour of Paw patrol, everyday! Our solar array reduces the farms carbon footprint, equating to driving your car 36,000 miles per year (that’s driving from Sterling,Ma to California 12 times! Check out the solar display located at the Udder Rock Cafe and see how much energy the solar panels are producing. We have also dedicated an additional 15 acres of land to house a 10,000 panel solar farm. Our solar farm has the capacity to power 400 homes! The power is used by the Sterling Municipal Light Department for the town, reducing the town’s carbon footprint. 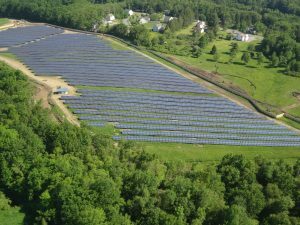 A consortium of companies in the US and Canada came together to make this solar farm possible. Kestrels play a very important role in the control of “nuisance species” such as rodents and insects. The Kestrel population is rapidly declining – cut in half since the late 1960’s! To help repopulate the species, Davis Farmland has teamed up with the MA Division of Fisheries & Wildlife and set up multiple Kestrel nesting boxes. 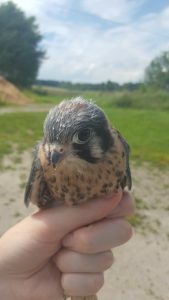 Our farm is one of the best locations for Kestrel nesting and we have already hatched and banded over 20 of these tiny, beautiful falcons. One of the boxes can be viewed from the parking lot of Davis Mega Farm Festival. We are constantly looking at ways to sustain our family farm, benefit the greater community, and hopefully be an example of innovation with a conscience.